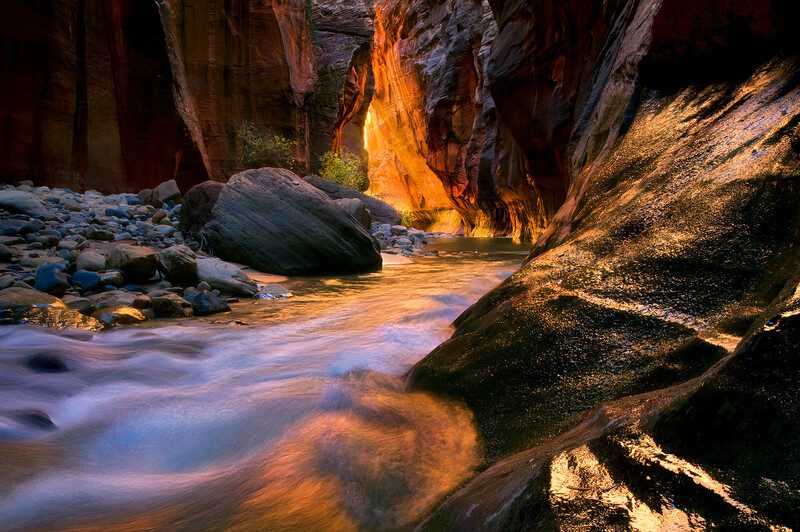 Rich, spectacular reflected light off the warm walls deep within the Narrows, in Zion. A much-photographed place, but one that still reveals to me it's beauty. Photo © copyright by Marc Adamus.